Creative people and revolutionary designs when coming together something really magical happens. This is very much true for our Automotive industry. World’s first car to come in the tag of 1 lakh, Tata Nano; India’s first compact sedan Indigo E-cs and many more other examples. When we consider entry level cars, a typical image of Maruti 800 or Tata Nano comes into the mind. Renault India changes exactly the same imagination and though why it cannot look like SUV being the entry level car? 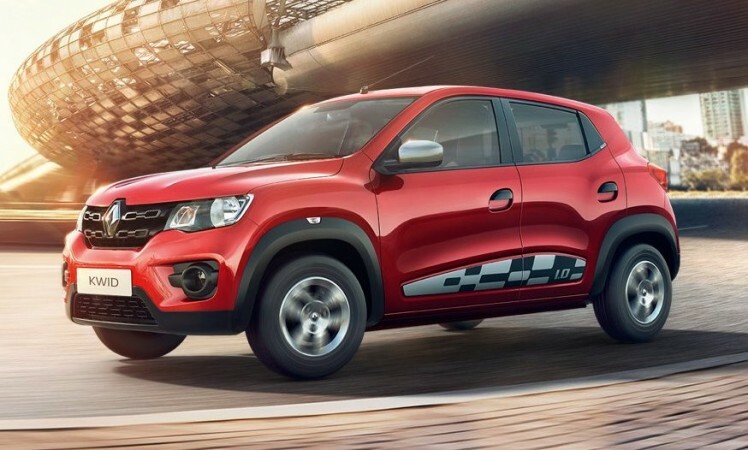 The development of Kwid was on a similar platform and India saw first Renault Kwid back in 2015. Immediately after launch, the Renault Kwid was a real hit for Renault India after the success of the Duster. The company doesn’t want to stop only on 800cc 3 cylinder petrol engine and had more to offer. Renault India recently launched Kwid 1.0 in the Indian market and that also went well. Now, what next? Its the AMT! Renault India will soon launch the all new Renault Kwid AMT. Ahead of its official launch, we got to drive the 1 liter engined AMT and here is our take on all new Renault Kwid AMT. 2017 Renault Kwid AMT looks exactly same like the 1.0 litre Kwid and keeps all the exterior detailing intact with the design rules. The SUVish looking front stance still gives the feel of the big car while body cladding on side profile add to the high ground clearance stance. The new thing is in the rear and it’s the tiny badge but adds more to the car. It’s the Easy-R badge next to RxT variant tag. All new Renault Kwid AMT is only available with top end RxT variant and its visible only from outside. As we entered the car, the car felt incomplete. Something was seriously missing in the car interior. Though the dashboard and all other things remained same there was no gear selector. Renault India has smartly integrated gear selector near power window selector control. 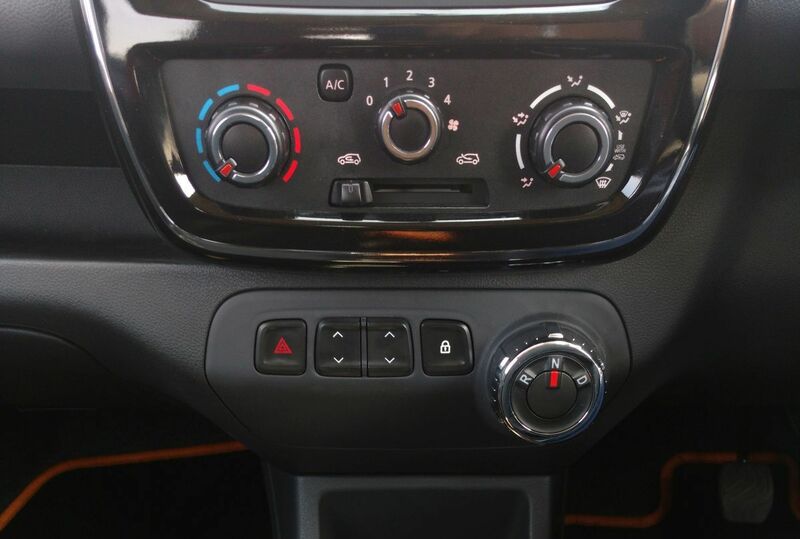 The big chunky knob has 3 modes to offer to drive Renault Kwid AMT, drive, neutral and reverse. Apart from this everything remains same in the cabin and there is no major update in the interior other than smart drive selector. Don’t think it’s a volume control and twist it. It looks like an AC control or volume control knob, hope adventurous kids/co-passengers does not play with it. The big disappointment from the cabin is, there is no way one can select gears manually. Even Nano AMT offers +/- mode for gear selection. Renault India could have thought about this. There is a big disappointment when you see structural part metal coming out from the plastic under the centre console gives a complete cost cutting feeling and feels cheap. 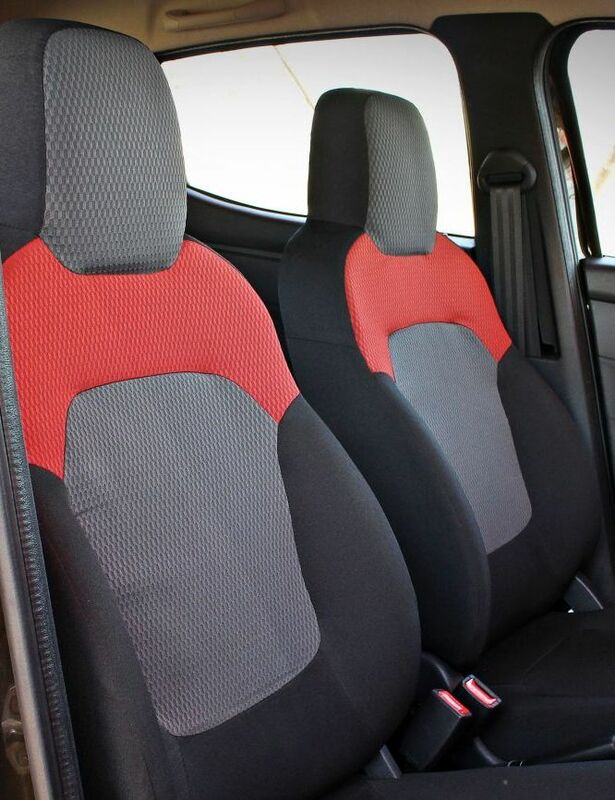 The seats are having less foam to support and lack in shoulder support, this could be reason for getting tired early in long drives. When we started our test drive of Kwid AMT, we were at a bit steep gradient. As a normal person, our test driver turned the knob in drive mode and left the brake pedal. Believe me, the car first rolled back and then he had to wait 2 seconds till car moved forward. Now this is a common issue in all AMT equipped cars. But 2 seconds delay is huge time considering you are in a hilly section of bumper to bumper traffic jam. Moreover, the typical 3 cylinder note is prominent and feels annoyed sometimes. Unlike manual transmission, the car doesn’t give you feel of roughness or non-refined engine with all grunt coming in the cabin. While on the go, if you want sudden acceleration the AMT unit sometimes confuses between upshift or downshift. If you are a relaxed driver and only wants to drive in the city and rarely highway cruising, this will be a good car if you can compromise on refinement. Like 1.0-litre version this car also gets same soft suspension setup and has much body roll. Soft suspension setup is good for the city but gets bouncy at high speeds. Same is with the steering, it feels very light inside the city and doesn’t get hard enough at high speeds. Available in only top end variants RxT and RxT optional, Kwid AMT is a pricey affair to own. Expect the price bump of 40000 INR between top end variant and the AMT variant. Considering above price assumption this car will also sit in the same price bracket of Alto K10. While comparing Maruti Suzuki’s large dealer network, easy on pocket maintenance cost, high availability of spares in the long term ownership with Renault’s dealer network we leave it up to you to decide the buying decision.